Quality Workmanship. Honest Service. Great Value. Considering renovating your property? Planning an extension to your home? Refurbishing commercial premises? For quality results you can be proud of, you’ll need careful planning and superior workmanship. And if you’re in the Oxfordshire area, you’ll need the help of Sycamore Renovations. So give them a call now on 01295 721206 or 07790 394625. The secret of a successful property renovation project is planning and careful management. You only have to watch the TV property programmes to see how easy it is for renovation projects to fail. Timescales slip and budgets spiral out of control. All too often this is because of inexperience and poor management. That’s why having an experienced project manager to run your renovation project is essential and makes economic sense. Sycamore Renovations specialise in project management. With their expertise, backed by a team of skilled tradesman, you can be confident that your renovation project will be managed efficiently from inception to completion. Sycamore Renovations works with you every step of the way to ensure stunning results – whatever the scale of your project. As well as planning, communication is a key element of renovation project management. The Sycamore team work closely with you throughout the work. Where necessary, they will liaise with local authority Building Control officers, architects, surveyors and even designers, to ensure your project runs smoothly and delivers the perfect end result. You don’t have to have a major construction project planned to work with Sycamore Renovations. Small-scale renovations need the same care, attention and management as big budget projects. In fact, smaller projects often need more careful management to keep them within budget and to meet tight deadlines. The Sycamore team works with home owners, commercial property owners, and landlords and estate agents on projects of all sizes. And their expertise doesn’t end at the front door either. 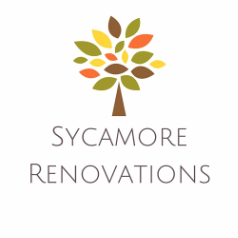 If your planned renovations include patios, hard landscaping or a new summer house, that’s all in a day’s work for Sycamore Renovations. Managing a property renovation project can’t be done remotely. Without a project manager onsite, small problems quickly become big problems. That’s why experienced director David Green takes a hands-on approach to every project. David works onsite with their team throughout the project, supervising and ensuring their rigorous standards are met at every stage. So if you’re in the Oxfordshire area and thinking of renovating your property, do it the easy way. Speak to Sycamore Renovations right now on 01295 721206 or 07790 394625 and start the way you mean to go on – efficiently and professionally.